General Mining Corporation Limited (ASX:GMM) is engaged in the exploration and assessment of projects, and mineral resources in Australia and Mongolia. In addition to the Company’s Australian mineral interests, subsidiary company Golden Cross LLC, holds 10 licenses in Mongolia covering over 3800 square kilometers. 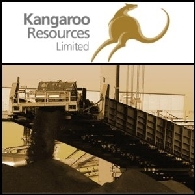 Its operations include Uvs Basin, Mongolia (Potash, GMM 100%); Shoemaker, Australia (Iron, GMM 50% earning up to 80%); Mt Kinahan, Australia (Manganese, Copper, GMM 100%), and IOCG & Carbonatite Targets, Australia (GMM 100%). The Company has entered into an agreement to acquire 50% of the WA Shoemaker project (prospective for iron) from Galaxy Resources Limited and a joint venture agreement for the exploration and development of that project.